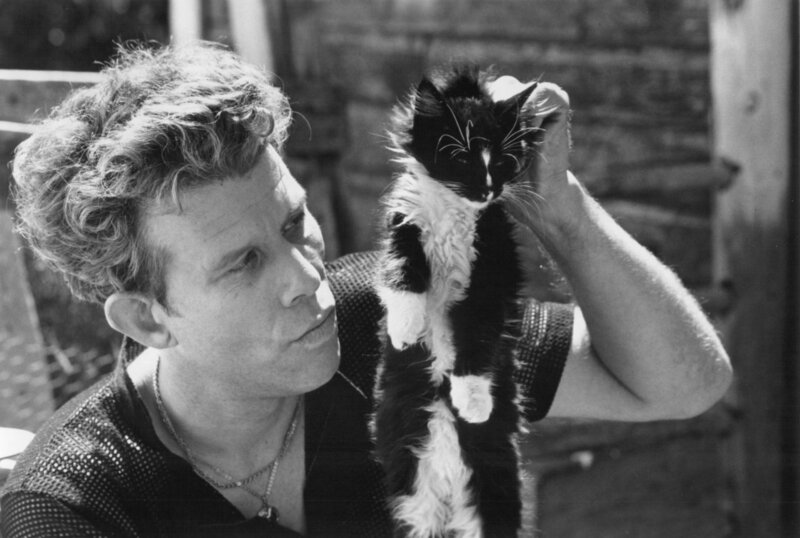 Tom Waits hanging out with a cat! 2) “To hang.” This was used thusly: “Hang with your friends…” Call me old school (another once-cool, now-tired label, surely!) but I’d prefer to “hang out” with my friends. I don’t want to simply hang with my friends or my enemies–I would rather not hang at all. I am tired, but I am not so tired that I don’t have the energy to add the short “out” at the end of “hang.” Otherwise, all I can think of is a noose/coming into play, which even on this headachey day has little enough appeal as to be nonexistent. This entry was posted in Uncategorized and tagged Interdisciplinary Aesthetics, making a mess, NPR, Tom Waits, words. Bookmark the permalink.